Today is November 1st. 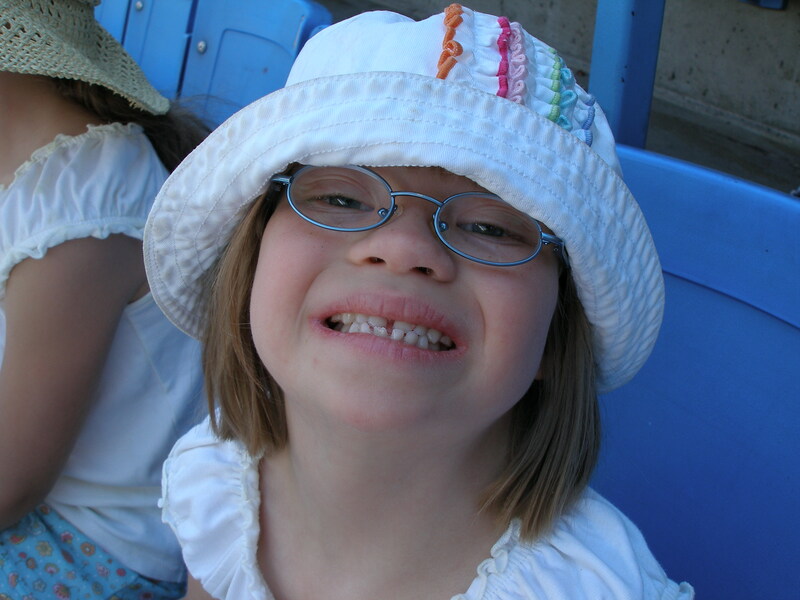 It’s the first day of one week dedicated to talking and learning about Down syndrome here in Canada. I didn’t know anything about DS 12 years ago. In fact, I was one of those horrible people who would cross the street when I saw a person with a disability coming towards me. Because I was afraid. And awkward. And embarrassed. My second daughter has Down syndrome. She loves school. She wants a boyfriend. She can’t be bothered cleaning her room. She rides horses, dances, reads, tells funny jokes and talks over her time limit on the phone with her friends. Twelve years later, I am a fierce advocate for people with disabilities. We gravitate so easily to stereotypes and fear in our minds! And these stereotypes cause us to ostracize people who might look different, but are not any different from us. Please take the time to click on the Awareness poster above. It will take you through to a site where you can take a quiz and maybe learn something about Down syndrome that you didn’t know before. Next > True me up, please! What a great campaign! It’s good to have a positive way to learn more about the people around us, and a reminder that everyone is an individual. We fear the unknown and for many of us, especially when we’re young people with disabilities are an unknown quantity; that and when we’re young we’re arrogant which really doesn’t help. I think sometimes we’re given our special needs children to humble us. I have 2 boys on the autistic spectrum, I certainly didn’t ask for that, but there’s no way I’d ever give them back! I now have a much better personality and am no longer frightened of people with special needs. Now I know they’re people, just like I am a person and they simply have different challenges to the rest of us. It is incredibly wonderful when they achieve something though, I think I appreciate that more than I would if I had neurotypical children. The special needs community is just that, full of very special people who have very normal lives. Your daughter is beautiful. I’ve spent time as a support worker for someone with DS and he is just as you say. Looking for love and work and is full of humour. Great picture of you dear daughter! This is timely. I was just chatting with a friend in FL whose son has Downs. We were talking about Marks and Spencer ads in the UK that include a little boy with downs as well as ads in the US for Target that include a boy with Downs mixed in with the other kids. It’s a subtle way of reminding us that it is all “normal” and we are all a part of the mix. Your daughter is adorable! 22 years ago, my son was born very premature and has Cerebral Palsy. Keep up the good work. Special needs moms are not wimpy (ha).